Law practice dealing with claims such as clinical negligence, catastrophic injury, clinical negligence, commercial cases, court of protection bills and industrial disease claims. 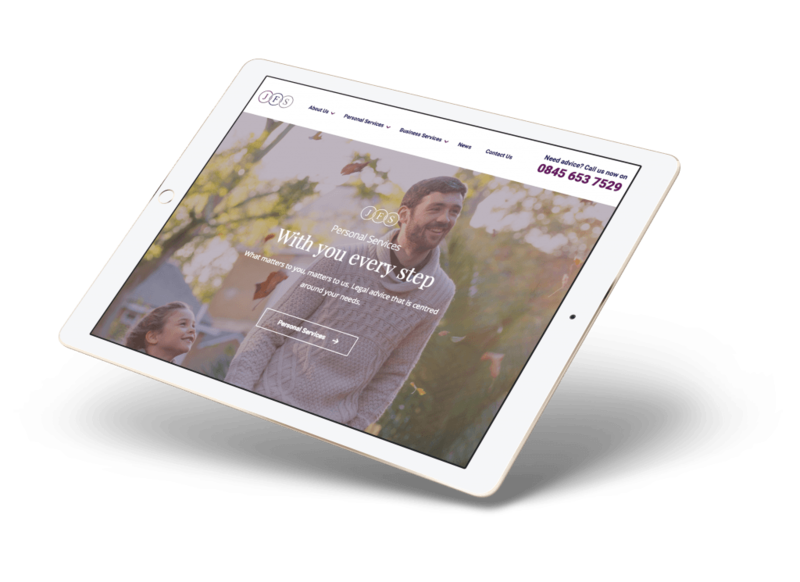 Joseph Frasier were struggling with a visually dated website which was poorly optimised for mobile and left their web presence failing to reflect the quality of their service. This problem was coupled with a difficult CMS which was lacking in features, causing frustration for users, and hindering business objectives. A contemporary redesign was required, one which aligned the website with a new brand style and introduced a refreshing colour scheme. To complement the new features and further the impact of the site, a quality set of photographs was needed to reflect Joseph Frasier’s personable business approach. Over the years Joseph Fraiser has grown and adapted to new legal areas. This meant the existing site hierarchy needed to reflect these changes through the content, and organisation of information, in order to engage new and potential customers. Once we had the structure and key message hierarchy composed we applied a clean and balanced style using the new brand colours. This highlighted key areas of the new design and, importantly, drew attention to Call To Action (CTA) icons. As with most clients, mobile and tablet traffic now represent the majority of website visitors. Our mobile first approach ensures whatever the device the customer has, the most engaging and intuitive experience is delivered. The bounce rate has been halved, users are viewing more content for longer, they are displaying higher engagement rates, and reporting a better experience when visiting the website. The new CMS empowers Joseph Fraiser to add new sections, navigation elements, and all aspects of in page content easily. This effectively futureproofs their website for expansion and growth into new areas.